The Public Safety Outreach Foundation is a 501(c)3 organization. It support activities and programs designed to build and strengthen trust between communities and public safety agencies. We have seen too many incidents leaving a negative impact on our community. This must change and, together, we can make that change. We must look at ways to improve communication and interactions with each other, having mutual respect, resulting in positive relationships. Your donations will help continue programs identified by the Communities of Trust Committee (www.communitiesoftrust.com) resulting in communities working together, youth considering careers in public safety and parents engaged with their children and public safety agencies. Help us make a difference, make your tax deductible donation today. 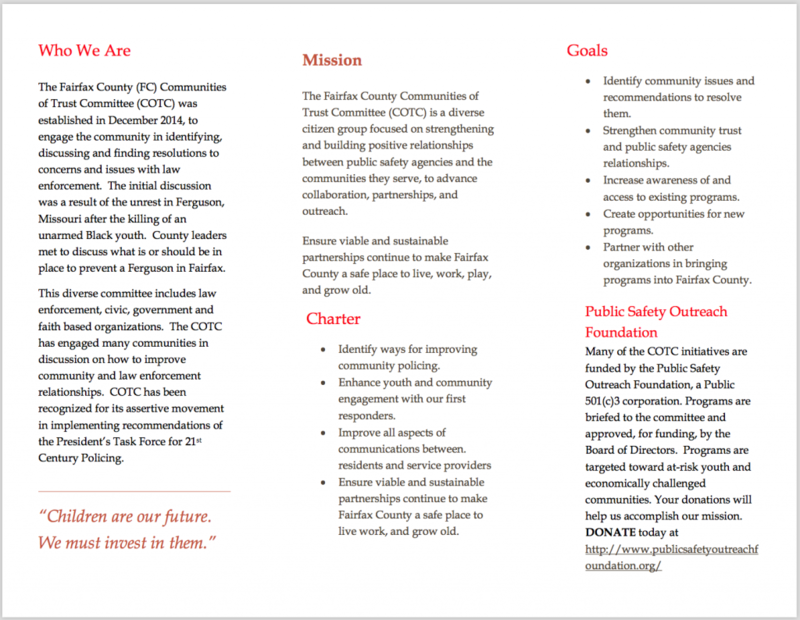 Programs established and supported by the Public Safety Outreach Foundation are recommended by the Communities of Trust Committee, a diverse group consisting of community leaders, law enforcement and public safety agency representatives. Through private, corporate donations and grants, we are able to implement programs that helps improve the social and economic conditions of our at risk youth. During 2016, the Communities of Trust Committee hosted many events. The Public Safety Days were designed to engage youth with law enforcement through a day of fun (games, face painting, rides). Additionally, Community Forums are held to educate the community on public safety programs, career opportunities and how to effectively engage with law enforcement. 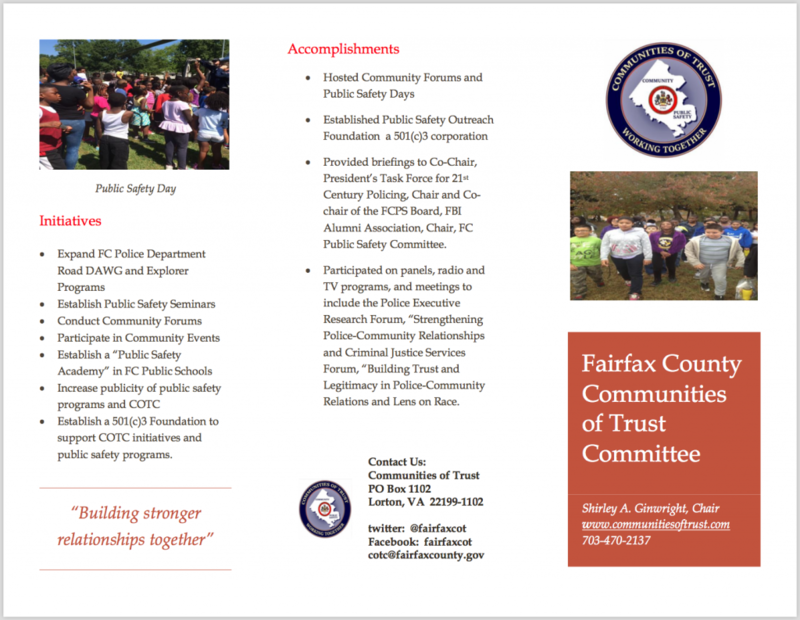 We organize a variety of events to help people learn about and get involved with Public Safety Outreach Foundation. From talks to charity drives to community service, this is where you can find out what’s going on, and sign up! PO Box 1102 Lorton, VA 22199.